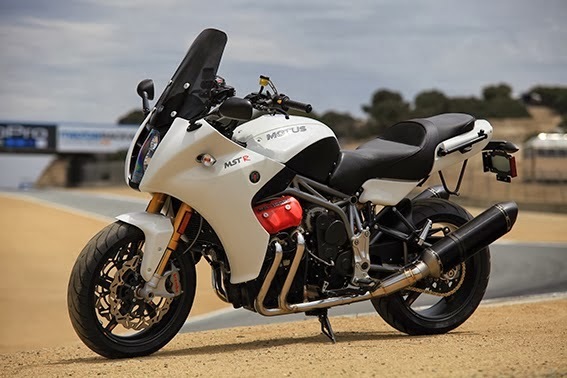 MOTUS, the motorcycle manufacturing business established by Lee Conn and former Confederate Motorcycle designer Brian Case, have announced plans to begin working towards EU homologation in the third quarter of 2014. Once the bikes have approval the company will establish dealerships in the EU, Australia, Canada and Mexico. Motus has already taken on 16 dealers in the US and has plans to expand this progam to 25 by the middle of 2014. Once the expanded dealership network is in place the company expects to sell 275 – 300 motorcycles over the year. The sales will be a combination of the MST and MSTR, both of which are powered by a proprietary V4, and were developed in partnership with motorsport specialist Pratt& Miller.